The Show MUST Go On – Even In Face Of These CRAZY Obstacles! The life of an itinerant magician is not without its foibles. 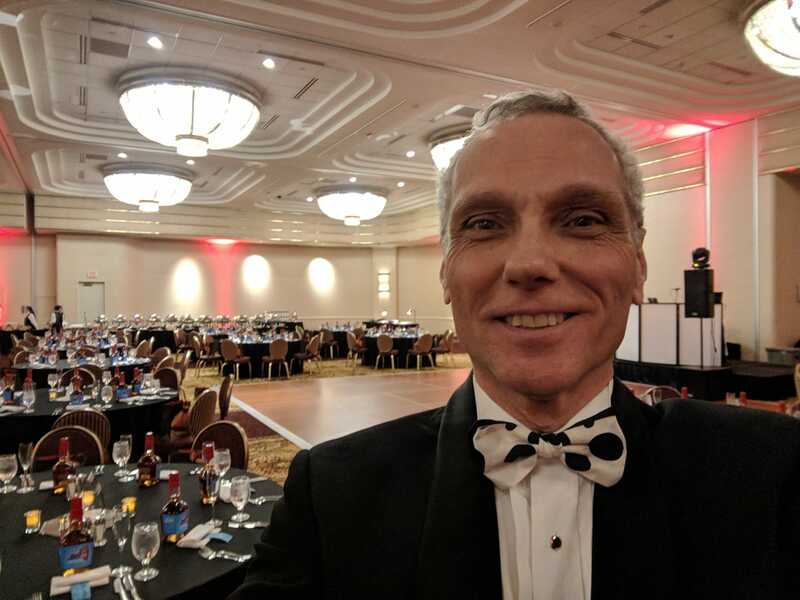 Last night I drove one hour and forty-five minutes to a gig at Turning Stone Casino, in upstate New York, to perform for Southern Glazer’s Wine & Spirits — a great company, and North America’s largest distributor of wine & spirits. But when I arrived at the ballroom, the group partying was a real estate company. So I called my client and said, “Where are you guys? I thought you were in the ballroom?” She said, “We are…. tomorrow night.” Ouch. So what did I say? “Yes, you will never find another entertainer who offers the level of customer service I provide. You see, I drove all the way here tonight just to rehearse driving to the venue and finding the ballroom. All to make sure I would be on time for your event tomorrow night!” We both had a laugh at that. This morning we took my wife Sally’s Prius to the shop for repairs, and Sally borrowed my car until it was time for me to go. One hour before my departure time, Sally called me to say that she had inadvertently locked the keys in my car. She was at a location only four minutes away by car, but I would have to walk, carrying a heavy car battery jumper unit up a steep hill — probably a forty-minute trek. I flew into emergency mode, grabbed my extra set of keys and the jumper unit, threw on my coat, and ran out the door, figuring it was six of one and half dozen of the other to wait around for a cab. I did not realize it was drizzling outside. Hoofing it through our quiet neighborhood, I was praying for a car to come by that I could flag down; and that’s exactly what happened. The gentleman gave me a ride and I was able to get the car jump-started. Shortly thereafter, I went out to the car all ready to leave, Vitamix shake in hand, only to discover that all four doors were locked again with the key inside and the car running! Thus ensued a rather panicked search for the extra set of keys, tearing the house apart, until we realized that both sets of keys must be inside the car. And time was running out. All of my shows are important to me, but this was a client I had done many shows for, the largest distributor of wine & spirits in North America, and I wanted to be there early and ready to go. Now, AAA is very efficient in my experience, but when you are in hyper-mode, trying to navigate an automated system to get a live person on the line, and then being forced to move at the snail-like pace of the representative who’s asking you question after question, and then repeating the question to make sure they’ve got it right… well, one wishes one had many more years of meditation training than I have. That done, I took small comfort in the representative’s statement that because the keys were in the car and the car was running, they would expedite this. I went back out to the car on the hunch that I might be able to find a way to open a window and unlock the doors myself. Lo and behold! I discovered that the passenger window was open about two inches! That was the good news; the bad news was that I could not get my arm through it. I blew a couple of minutes futilely trying to get the window to open more, or squeeze my arm through, and then I realized — I might be able to use a coat hanger to unlock the car. So I dashed back inside, grabbed a coat hanger and a pair of pliers, shaped the coat hanger into a hook mechanism, ran back out to the car, and started fishing around. (You’ve all been there, done that, right?) It was as if the car were saying to me, “Resistance is futile.” It didn’t work. And then I slapped my head…. Of course! All I had to do was get a long stick and press down on the button that electrically unlocks the doors. So I ran back inside and searched for the appropriate stick…. And it worked! Simple as pie. If only I had thought of that before I went through all the AAA rigmarole. Curiously enough, that “stick” was actually one of my magic wands! And there, wedged between the seat and the door, was my wallet! Finally, I thought, all’s well that ends well. So I went back inside to grab my — now slightly warmer — Vitamix shake. When I came back outside — are you ready for this? — the doors were locked again with the key inside and the engine running!!! Now wait a goddamn minute! Who’s the magician here? Am I in some kind of battle with Mephistopheles here? Who’s the invisible opponent?! Speak softly and carry a big stick, or a magic wand — I guess that’s my motto from now on. And leave your car window slightly open. And so now I am on my way to the show, happily drinking my slightly warm Vitamix shake and dictating this Facebook post, optimistically assuming that I will make it there without mishap and do a great show. Magicians are experts at misdirection. My greatest misdirection tonight will be when I stroll into the casino in my tuxedo looking all James Bond confident and well put together, as if I leisurely flew in on my own private jet. That will be my best trick, and I will post a picture of it later. Well, that was the Facebook post, and here’s the picture of me, arrived safe and sound at Turning Stone Casino — EARLY and ready to amaze!